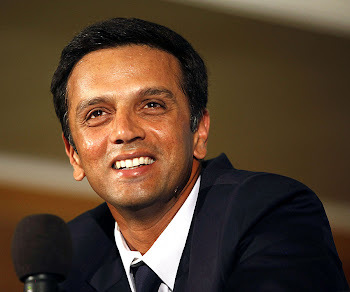 Rahul Dravid: He is "Padma Bhushan" Rahul Dravid now! He is "Padma Bhushan" Rahul Dravid now! A very good news for all the fans of Rahul Dravid - India’s President Pranab Mukherjee has presented him with one of the country’s highest civilian awards, the Padma Bhushan, in a ceremony in New Delhi. If test cricket is pinnacle, batting at No 3 position is test of character. Argueably the greates No 3 Indian batsman, and certainly one of the greatest No 3 batsman in the world.